How Powerful is Boko Haram? Most estimates put the number of the world deadliest Jihadi group in the ballpark of between 20,000 -30,000. For a terrorist organization that’s a lot. That’s roughly the size of the Cameroonian armed forces. But that wasn’t always the case. By controlling large swathes of land (66,000 sqr km) with million of dollars in revenue from ransom payments, the group was able to recruit fighters from but neighbouring Niger, Chad, Mali and as far north as Libya, train them, supply, and even build makeshift rocket factories. 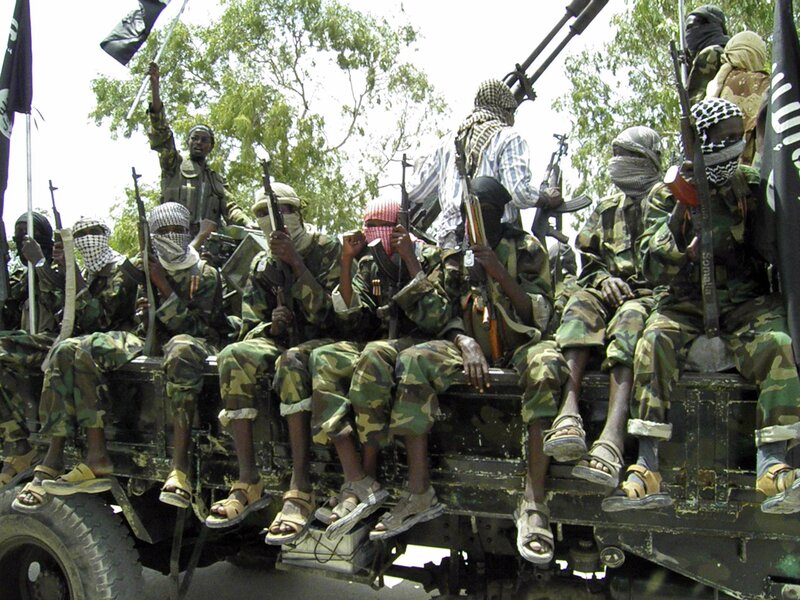 Does Boko Haram represent an existential threat to the Nigerian Federation? Boko Haram’s reputation as the world’s deadliest terrorist group has more to do with sheer barbarity in the number of people killed than for its tactical accomplishments. Despite their spectacular attacks and high-profile kidnappings, Boko Haram have not shown a real capability to launch asymmetric attacks outside of the two north-eastern states of Borno and Adamawa. In theory they could do a considerable amount of damage to civilian infrastructure and innocent lives. 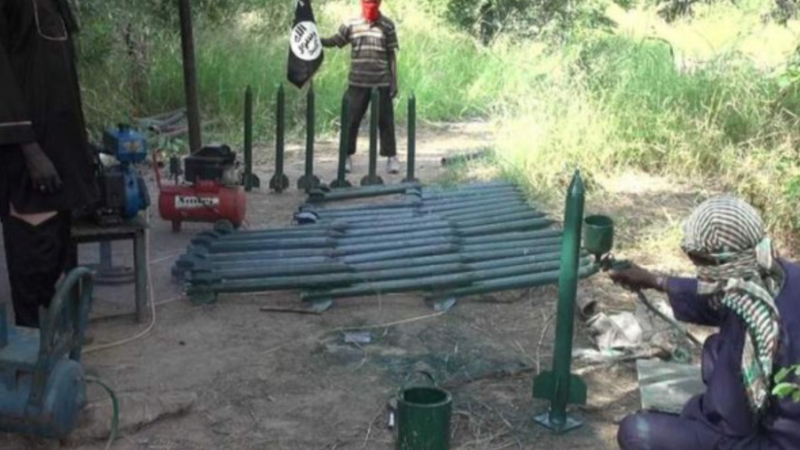 They are not going to have much capability against Nigerian air power, unless Idris Derby finally figures out a way to smuggle SA-7 anti aircraft missiles and MANPADS to the Jihadi group undetected. But how did a Boko Haram hold its ground for so long against the three most capable militaries in the region, facing Nigerian, Chadian and Cameroonian groundforces on multiple fronts and bombarded by the Chadian and Nigerian Air Force. 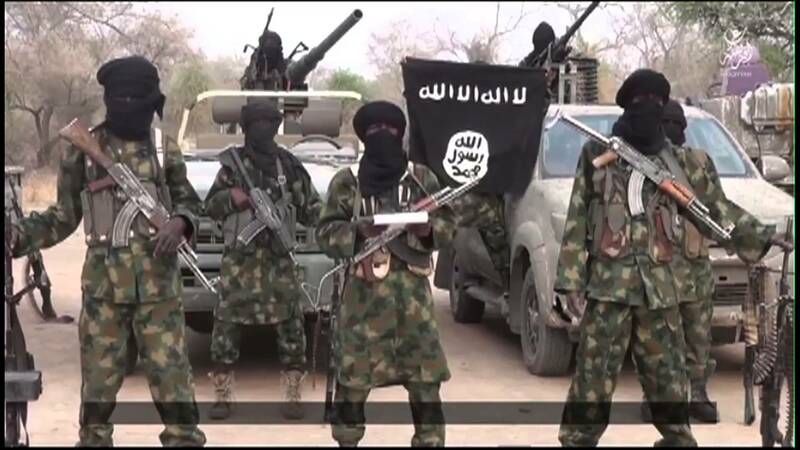 Until Boko Haram turned on them, the chief financiers of Boko Haram were the trio of France Cameroon and Chad. In April 19 2013, A confidential Nigerian government report obtained by Reuters claimed that French and Cameroonian negotiators handed over $3.15 million to Boko Haram in ransom payment for the release of an “abducted French family” without notifying the Nigerian government, which had a zero tolerance policy as regards ransom payments to the Jihadi group, to dis-insentify the act of kidnapping. The report also said that Cameroon freed some Boko Haram Commanders it had it custody in order the secure their release, as the militant group had originally demanded double the amount that was paid. How Boko Haram succeeded in abducting an entire French family in Yaounde, Cameroons capital, beats my imagination. In July 2014 the Cameroonian government, without notifying the Nigerian government payed the sum of $400,000 to Boko Haram in ransom to secure the release of Francoise Agnes Moukori, the wife of Cameroons VIce Prime Minister Amadou Ali. How Boko Haram was able to kidnap the wife of a minister of a foreign country remains a mystery. By the way, the payment was facilitated via a French bank. The Obama administration announced it would oppose any ransom payment or prisoner exchange to free more than 250 Nigerian schoolgirls kidnapped Boko Haram. The United States turns a blind eye to the incredible amount of money being handed over to Boko Haram, knowing fully well that the money will be used to buy sophisticated weapons and to expand their terrorist operation. Same way the United States crammed $500 million cash in an airplane and sent it to Iran knowing fully well the funds will be used to fund extremist groups like Hezbollah. Hence no surprise why the United States, rather than condemn this irresponsible move, decides to establish a strategic partnership with an autocratic state governed by a dictator. Conservative estimates puts the amount of money Boko Haram received in ransom payments from France and her vassals in 2014 alone at $20 million. This does not take into account millions of dollars in cash being delivered to Boko Haram by unmarked helicopters flown by Caucasian looking pilots. There is no denying the fact that without external support and funding Boko Haram could sustained its tempo of operation for years unend. Boko Haram cannot buy weapons via regular channels, so the vast majority of weapons purchased are from the black market. However its Tanks, amoured personnel carriers, howitzers and Beluga cluster bombs, ZSU 23-4 anti aircraft etc guns were mostly captured from the Nigerian army who abandon their base and take flight. 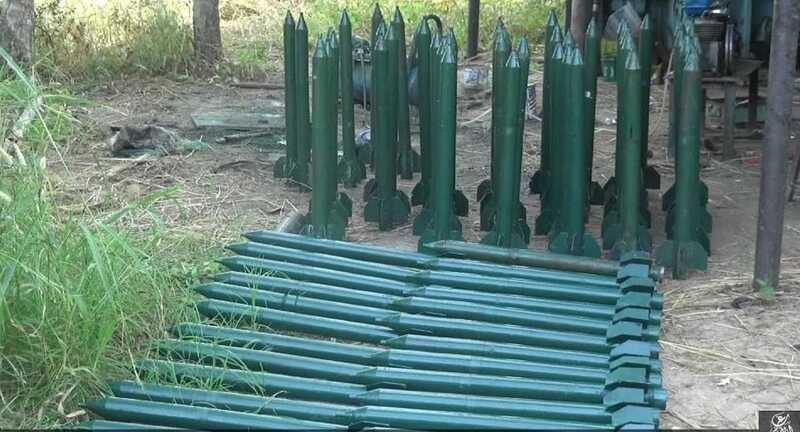 The group however does employ the use of locally fabricated rockets. Boko Haram has tended to employ lightly armed and highly mobile forces to conduct its operations, in many ways typical of what you will find in most insurgent groups. The Japanese auto maker Toyota may as well be considered a defence coporation given the volume of its Hilux truck “Technicals” in use al over the world. 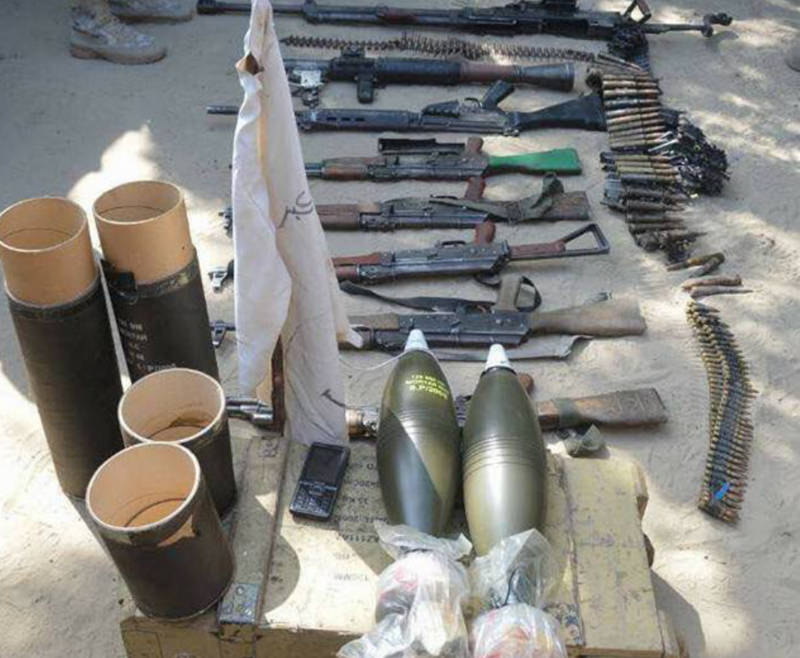 A typical Boko Haram fighting unit consists of with heavy machine guns, light machine guns, rocket-propelled grenades, both supported and transported in ‘technicals’; pick-up trucks with improvised heavy weapons mounted. 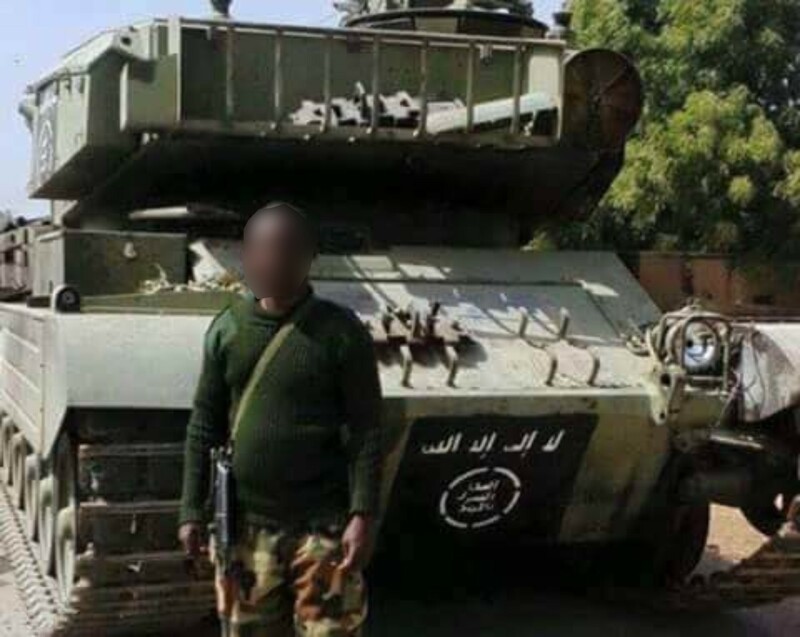 Boko Haram possesses a number of armoured fighting vehicle (AFV) captured from the Nigerian army, ranging from small, lightly armoured protected patrol vehicles, nearly a dozen Vickers III main battle tanks (MBTs). The loss of armoured vehicles to attrition has forced Nigeria to embark on a significant procurement programme in recent years, which indicates that Nigerian forces are sustaining equipment losses at a rate requiring frequent replenishment and that the significant challenge posed by Boko Haram now demands additional, better quality equipment for Nigerian forces. 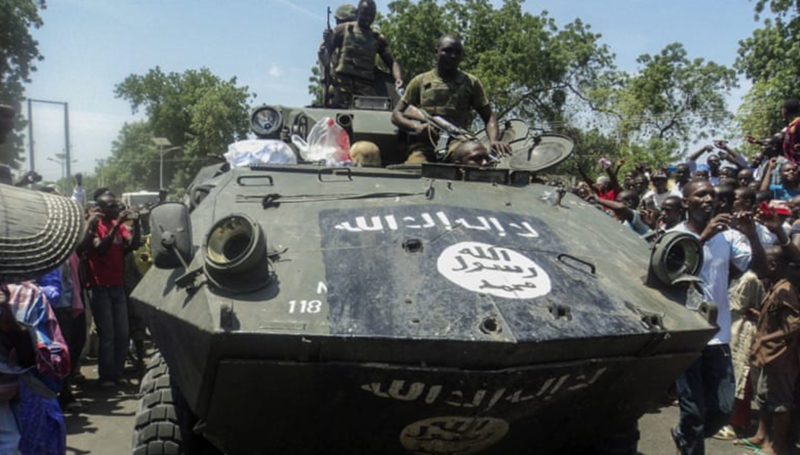 A full and current inventory of Boko Haram’s equipment is hard to gauge, so going by the equipment that has subsequently been recaptured by Nigerian troops there is evidence that Boko Haram has operationally deployed AFVs, particularly armoured personnel carriers (APCs). 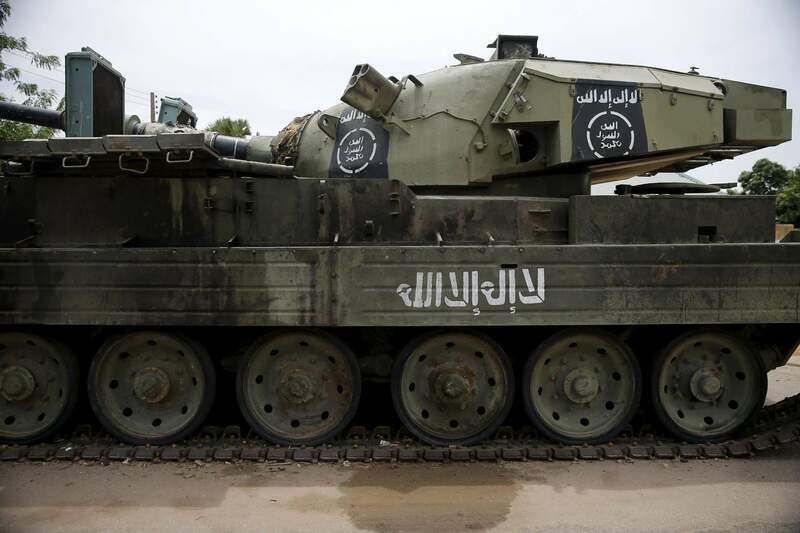 Nonetheless, Boko Haram’s increasing use of AFVs – particularly MBTs – poses a challenge for Nigerian forces. 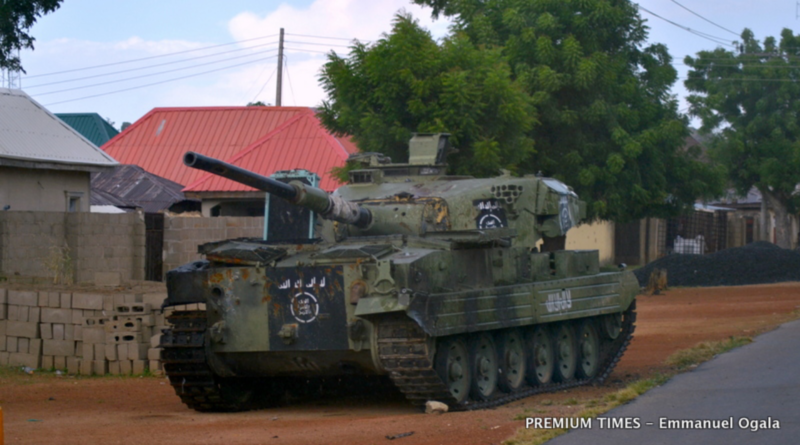 Indeed, Nigeria’s recent procurement of MBTs as outlined above can be seen as a response to Boko Haram’s growing use of better protected military vehicles in its operations. An abandoned Boko Haram Vickers tank. 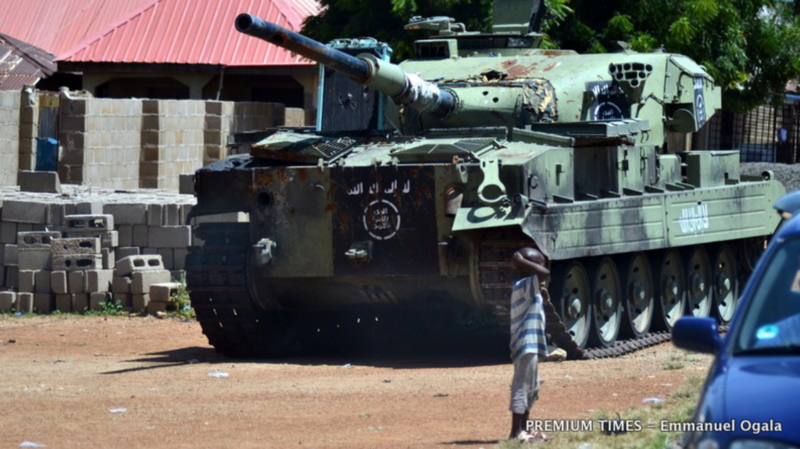 A Vickers MK III tank abandoned by fleeing Boko Haram fighters as Nigerian troops advanced. A Vickers MK III destroyed in an air strike. Nigerian soldiers in a captured MOWAG PAC roll into a newly liberated town to the cheering of the people. 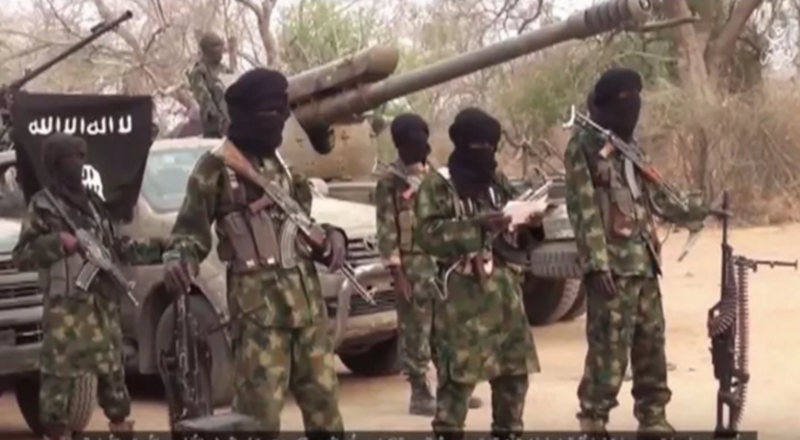 A Boko Haram commander flanked by his deputies read out their propaganda crap. A captured Oto Melara howitzer clearly visible behind. 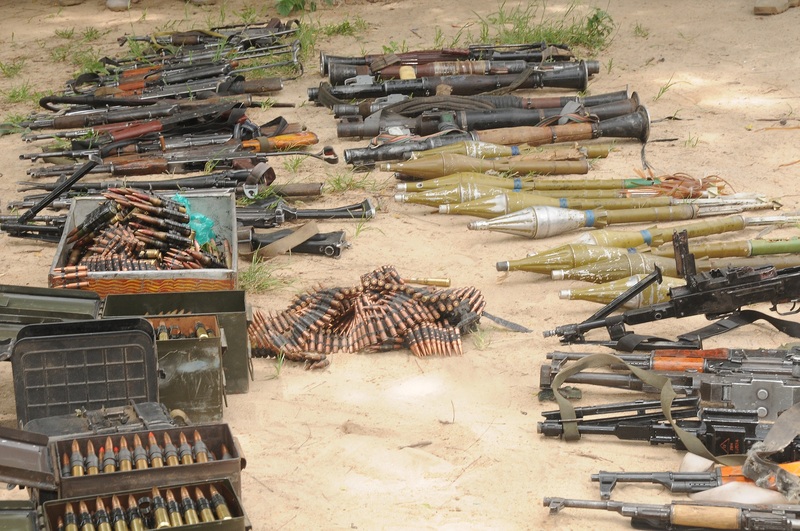 Caches of weapons recovered by Nigerian soldiers after a clearing operation. Recovered RPG rounds and machine guns displayed. Previous Post Previous post:Nigeria’s Military Fascinates the World Over Boko Haram Counter Insurgency. Next Post SAMBISA ! Why is it so HARD ?